Invest in a gardening essential with one of these robust and durable round pots. 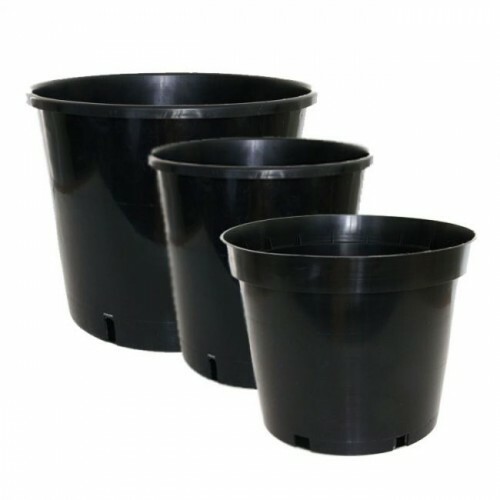 A cost-effective way to start your first grow, a traditional round pot provides excellent drainage for your flowers, shrubs and vegetables. Adequate soil drainage is critical for optimised plant growth, which is why this round pot comes with numerous drainage holes at the base. Made from strong co-polymer, the pot can be reused next season once the young plant has been replanted in the ground or moved to a bigger pot once its roots have developed. Economical and effective round pots. Ensures your plants will grow up strong and healthy.